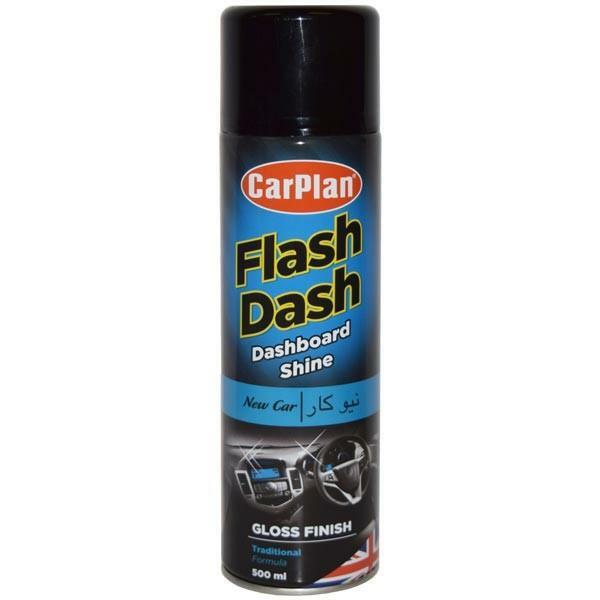 CarPlan Flash Dash Dashboard Shine is so easy to use, just spray on and wipe off, leaving a sparkling shine every time. 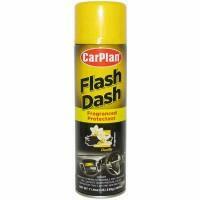 Use on PVC plastic, leather, wood and most synthetic materials. 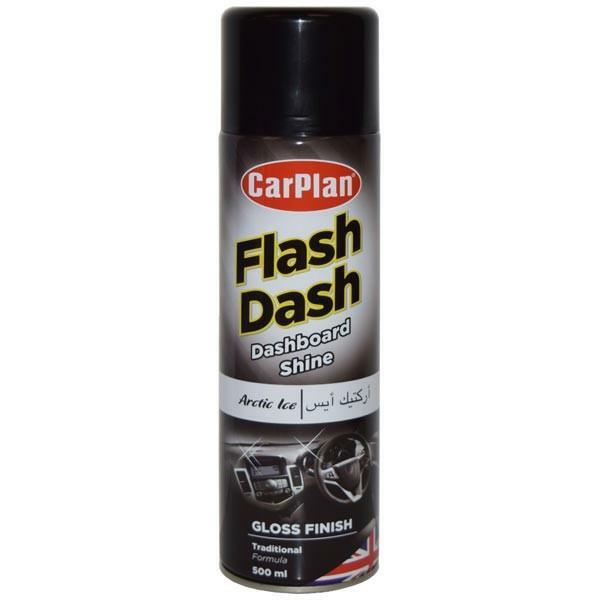 Flash Dashcontains a special anti-static additive to resist dirt and grime giving lasting protection to your interior. 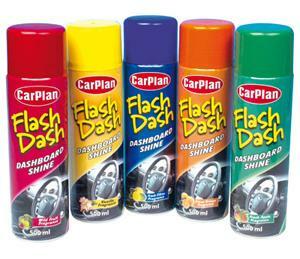 The range is available in a variety of fragrances to suit all tastes.